Storey’s Guide to Raising Sheep is the best-selling, most trusted reference for farmers and backyard homesteaders with any size flock. The fifth edition is now updated to include full-color illustrations and photographs throughout, including a gallery of the best breed choices for both meat and fiber. With their small size and gentle dispositions, sheep are one of the easier livestock species to raise and offer varied marketing opportunities, including meat, wool, and milk. 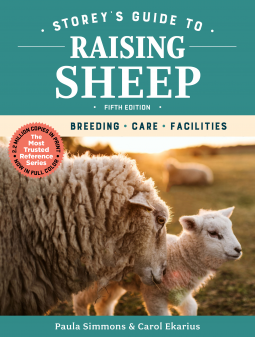 Detailed instructions and graphics lead readers through every essential procedure, including shearing, building a lambing shed, breeding and lambing, butchering, and marketing.